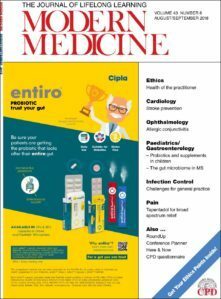 We welcome you to come and read through our latest, Aug/Sept, edition of Modern Medicine. This month we have a jam packed edition for you. Our features this month include; General Practice, Gastroenterology, Pain, Probiotics and many more.